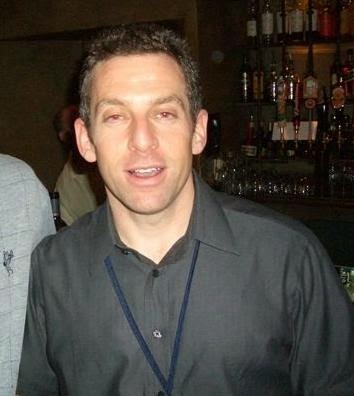 Obviously, Sam Harris is not a Greek scholar, nor is he a biblical scholar. He knows nothing about exegesis and he's just flat wrong on this, but he wants to prove his point. The assurance of things hoped for does mean the assurance of future things. Faith does deal with those things that we don't necessarily know, or that we don't have 100% confidence in. By the way reason deals with things we don't necessarily have 100% confidence in. You can reasonably believe something or you can claim you know something with less than 100% confidence. As an example, think about a man dating a women he is considering marrying. He talks with his friends and says, "I think it's time to ask her to marry me." His friends may reply, "Well do you think she will say yes?" A reasonable response would be, "I have faith that she's going to say yes so I'm going to ask the question. If I had no faith that she would say yes, then I wouldn't ask at all." Is such a faith a blind faith? Or is it based nio years of involvement and growing to know one another? I had faith that my wife and I would be compatible together as husband and wife. How can I know that? The only way to know how compatible we are is to become husband and wife. We cannot know that beforehand. When we talk about "the assurance of things hoped for," it is not merely something which does has not come to pass. When we talk about "the conviction of things not seen," it is the writer using a Hebrew idiom where if they wanted to stress a point or add emphasis they would repeat it. That's what the writer of Hebrews is doing here. The lines "The assurance of things hoped for, the conviction of things not seen" is the same phrase said differently. It's a linguistic device. Both Sam Harris and Christians need to realize that the Bible isn't meant to be taken so superficially. Hebrews 11:1 it is a good definition of one aspect of faith. It is not the sum total of what faith means, just as saying God is love is not the sum total of all that God is. 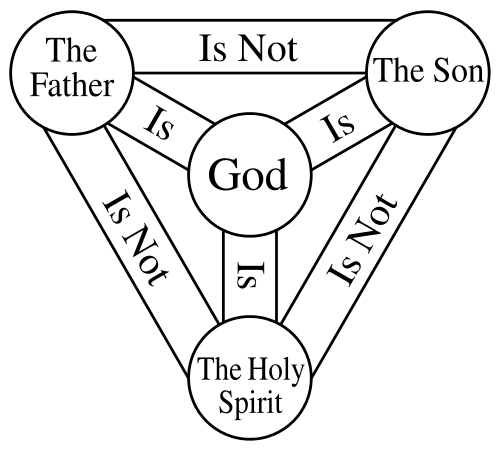 God is also defined as a Spirit. God is also defined as a consuming fire. We are told many things that God is in the Bible and love is one aspect of God's character, but it's not the sum total of God's character. God has more depth to Him than merely love. Similarly, Hebrews 11:1 does not provide a complete definition of faith. One must take the passage for what the author intended, and not limit the whole concept of faith to that one verse. If you'd like to read a fuller definition of the biblical meaning of faith, see this post. But there is one thing you can actually know, and that is that Sam Harris' version of Hebrews 11:1 is nothing but a straw man. 1. Harris, Sam. The End of Faith. (New York: W.W. Norton & Co, 2004). 65. What is faith? As I discuss issues like the existence of God I find that much of the time people have misunderstood the Christian concept of faith. Bertrand Russell, the famous early 20th century atheist defined faith as, "the firm belief in something for which there is no evidence. Where there is evidence, no one speaks of 'faith.' We do not speak of faith that two and two are four or that the earth is round. We only speak of faith when we wish to substitute emotion for evidence. "1 Sam Harris defines it this way: "Religious faith is simply unjustified belief in matters of ultimate concern. "2 Both of these definitions miss the mark, erecting a straw man instead of a robust understanding of what faith is. This misunderstanding is not limited to unbelievers, though; many Christians are also confused on what biblical faith means. They have an underdeveloped view of faith, assuming that it is some kind of trust without evidence or they think that faith is exclusively defined by a single Bible verse, like Hebrews 11:1. That verse reads, "Now faith is the assurance of things hoped for, the conviction of things not seen." While the writer to the Hebrews was trying to give one aspect of what faith means, this verse is no more an exhaustive definition of faith than the statement "God is a consuming fire"—which is found in the following chapter—defines all aspects of who God is. When you look at all the different ways faith is mentioned and expressed in the Bible, you'll find that faith in God encompasses three components: a proper understanding of the object of our faith, an assent or agreement with the claim of faith, and an exercise of trust that is the outworking of that assent. First, in order to have faith, you must properly understand what it is you're asked to have faith in. The Christian no more believes in a cruel, vindictive God than the atheist does. This is not the kind of God a Christian could have faith in. True faith in God means that one must at least understand what we mean when we say "God." God has certain attributes and qualities. Christians believe in an eternal God, a God from whom all goodness stems. The Christian God is not capricious, but unchanging, gracious, long-suffering and holy. If one doesn't understand these concepts, then the faith that one has would rightly be suspect. This is where many atheists go wrong. They hold to an image of God that is inaccurate and they then reject that type of a God. Beyond the mere understanding of the object of faith, the believer must give intellectual assent or agreement to the claims of faith. So, in our example, once you understand what the concept of God entails, then it is necessary for you to hold that such a being either exists or doesn't exist. Thus, faith is tied to belief. To have faith in God is to believe that He exists. But belief is not enough, for James said that even the demons believe in God and tremble!3To have faith means we must go beyond mere assent and exercise a level of trust in Him. Trust is a necessary feature of faith. All these components, understanding, assent, and trust, don't happen in a vacuum. We take the propositions we know to be true, such as everything that begins to exist has a cause, the universe shows evidence of design, for absolute moral values to exist they must originate from a moral lawgiver, and we use our reasoning ability to weigh them as evidence for the Christian God. We also have the internal witness of God and we have historical testimony such as the fact that Jesus was raised from the dead. Because we have all of this, we can more easily place our trust in God as not only being real, but as one who is trustworthy to guide our lives. As J.P. Moreland states, "Belief in rests on belief that." Christian faith is not a leap in the dark. The concept of "blind faith" is completely foreign to the Bible. Instead, when the Bible speaks of faith, it means a trust based on past history and evidence. Christianity has always grounded itself to a specific historical event, hanging the faith of its followers on the actuality of Christ's resurrection. In 1 Corinthians 15:14-19 Paul says that Christianity should be dismissed if the resurrection is not a reality. Therefore, it should be no surprise that the Christian view of faith is more measured and rational that others may have you believe. 1. Bertrand Russell as quoted in Introducing Philosophy of Religion by Chad Meister. (New York: Routledge, 2009). 158. 2. Harris, Sam. The End of Faith.